Ben Slater began the new season in style, registering a career best 130 on the opening day against Cambridge MCCU at Fenner’s. 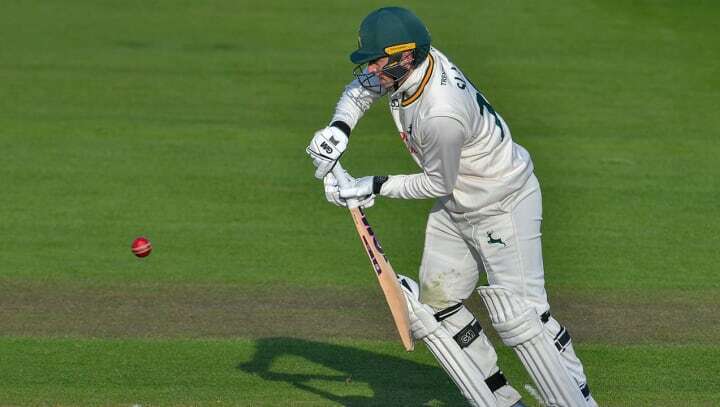 The left-handed opener scored his runs from 239 balls, with 20 fours as Notts put on 527 for seven. Slater helped put on 325 for the first wicket, although he admits he was left with a watching brief as Ben Duckett set a brisk tempo at the other end. “I said to Neil Bainton (umpire) that it was a bit difficult for me to keep seeing the ball flying everywhere off his bat,” said the 27-year old. “I wondered if maybe I could have a crack at it as well, but it was a case of me sticking to my game and I’m very glad I did and glad I got the hundred. “Ducky kept nicking the strike and leaving me down that end to play and miss for a while, whilst he took down the spinner. “It was tough for a little while, but I had to stick to what I do and luckily I got to three figures as well. “It was all good fun and it was a pleasure to stand at the other end and watch Ben. Slater’s hundred was his fifth in first class cricket – and his second for Notts in only five matches. “I’ve been trying to improve my conversion rate and get those fifties up to hundreds,” he said. “It’s not where I’d like it to be at the moment - I’ve had a 99 and a 97 which didn’t help as well, so it’s something that I’ve consciously thought about, although I don’t think about it too much when I’m out there. Slater admits he is feeling the benefit of his short spell with the county at the end of 2018. “Coming in at the back end of last season it helped me build relationships with the guys. “So when I came in back in November at the start of pre-season it wasn’t a new thing. “I think this is an exciting time for Notts with the new signings and with getting Coggers (Paul Coughlin) back to full fitness, he’s almost like a new signing as well, so it’s exciting times for us all.